Imaginary Metroidvania platformer about the invasion of the Flubkin homeworld by a cyborg psychopath. The game plots their descent into the sorrows of war, and their eventual radicalisation and redemption as they fight back. Ongoing writing and art project that looks at humanity's reawakening in the deep future following an ecological collapse, and our coming to terms with a world that has moved on without us. 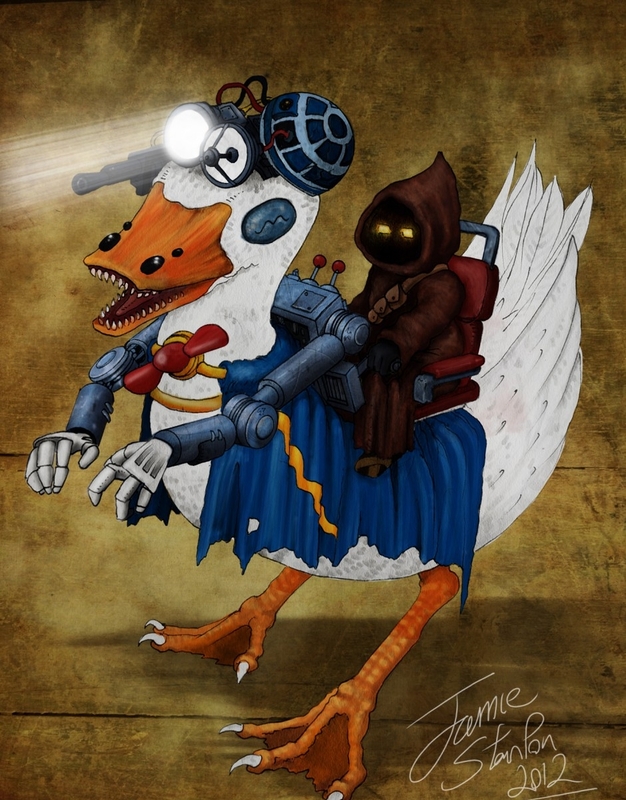 Mashup of Donald Duck and Star Wars, in celebration of the franchise purchase by Disney. A Sikh man riding a mecha-Dinosaur.